Beringer Vineyards embodies the timeless appeal and seductive flavor of the Napa Valley. As the region’s oldest continuously operating winery, Beringer is an American wine icon built on 142 years of winemaking tradition. Visitors are welcome to walk our expansive grounds featuring the Rhine House, a seventeen room mansion that is a classic example of ornate Victorian architecture with many gables, turrets and ornaments. Enjoy its exquisite stained glass windows and historic architecture while tasting the Reserve and Single Vineyard wines that made Beringer the most awarded winery in Napa. For those who prefer light to medium-bodied and fruit-driven wines, visit the Old Winery, located behind the Rhine House, for wines that may be familiar plus some that are available exclusively at the winery. As the first winery to offer public tours, visitors are also invited to take a 30 minute or 60 minute tour that explores the caves, family history, and winemaking process. Whether you are new to wine tasting or a seasoned connoisseur, you’ll find that when you experience Beringer, you experience Napa Valley. We welcome guests of all ages on the Introduction to Beringer tour. This 30 minute historic tour guides visitors through the Old Stone Winery and wine-aging tunnels while highlighting Beringer's long history and commitment to quality. Beringer Vineyards embodies the timeless appeal and seductive flavor of the Napa Valley. As the region's oldest continuously operated winery, we offer guests the opportunity to experience a winemaking tradition dating back 140 years. Visit the iconic Rhine House, taste our celebrated wines in the Old Stone Winery or take a tour and learn more about our wines and history. To join the wine club, visit www.beringer.com or call 707-257-5771. Beringer Vineyards offers three different tiers of wine clubs designed to give the member their favorite style of wine delivered directly to their doorstep. The club for aficionados. 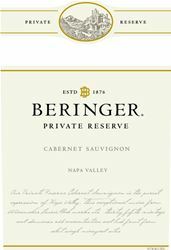 Look forward to bimonthly shipments of the finest Reserve and limited-production wines in the Beringer portfolio. An ongoing Reserve Club membership ensures a well-stocked wine cellar and an insider taste of Beringer's best. Experience a delicious dose of Napa Valley throughout the year with bi-monthly shipments of our exclusive wines, including winery-only selections not available anywhere else.It's your choice, red wines only or mixed offerings. Enjoy six bottles of our light and refreshing wines delivered every three months along with our Napa Valley newsletter, seasonal recipes, and tasting notes. Plus, reap all the other benefits of being a Beringer Wine Club member. The offer listed below is valid for all Napa Valley residents age 21 and over. A complimentary glass of Luminus Chardonnay or Quantum Red Blend for local resident and guest. 10% discount on current release wines and merchandise. Must check-in at the Welcome Center with proof of address to validate offer. Beringer Vineyards is certified under the Napa Green Winery Program by the Napa County Department of Environmental Management (DEM) and the Association of Bay Area Government’s (ABAG) Green Business Program and completed all the regulatory components needed for environmental sustainability. These components included developing water and energy conservation methods, preventing pollution, and reducing solid waste. In addition to developing sustainable winery practices, this program is set to become the standard for the state of California. Beringer Vineyards is certified under the Napa Green Certified Land Program. Beringer Vineyards has created and implemented a customized farm plan with measured results that addressed all aspects of its property, vineyard land as well as non-farmed land, including practicing soil conservation, water conservation, stable drainage, riparian corridor enhancement, fisheries and wildlife habitat enhancement and long-term improvement and sustainability.